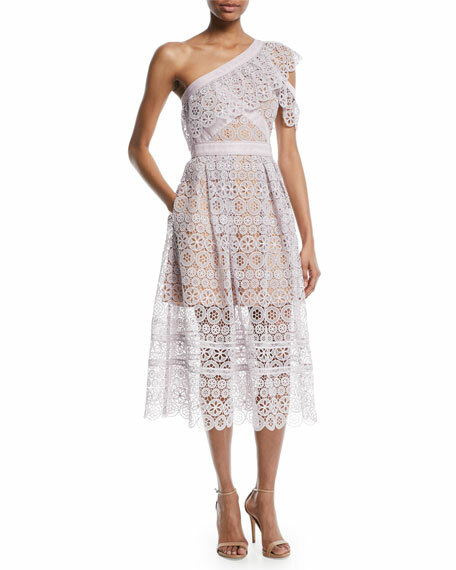 Self-Portrait cocktail dress in floral lace. 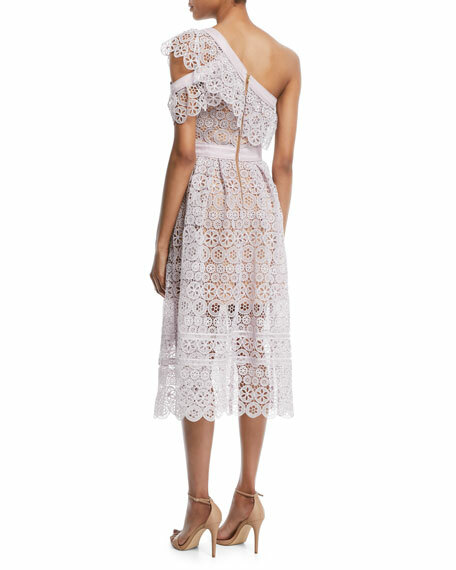 One shoulder neckline; frill overlay. For in-store inquiries, use sku #2605862.